We're pleased that you have found our site. We hope to tell you about our church and even persuade you to visit our wonderful town. We are blessed with our ancient and beautiful Parish Church. It is not only a beautiful building to be admired but it is also the heart of our community. We have frequent services and the church family is very active and welcoming. 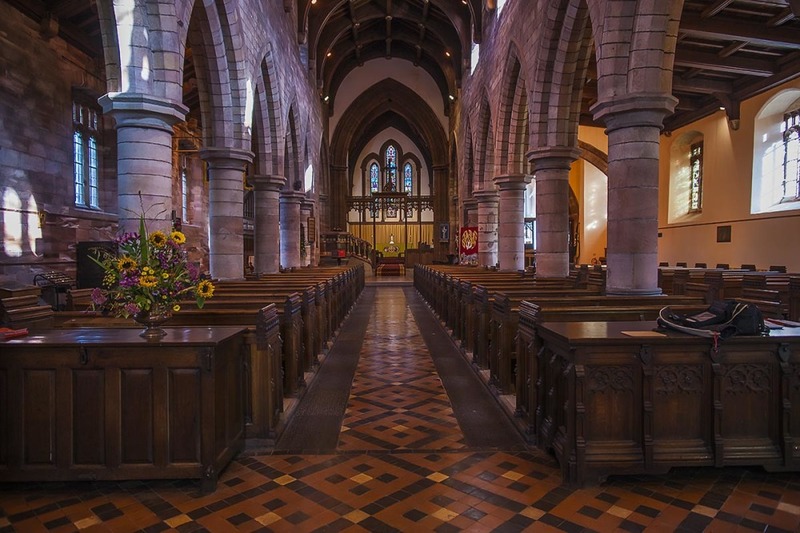 Christian worship in Kirkby Stephen can be traced back to the early Viking settlers in the area who were early converts to Christianity around 1,200 years ago. To find more information on the history and development of the Church, click on the "History" link above. We try to combine the traditions of the church - we have sung Matins on the second Sunday of each month - with more light-hearted events. Recently we had a competition to complete a limerick the first line of which was, "There was an old vicar from Brough...". There were several 'interesting' and very witty entries. Members of the congregation run several different groups which meet regularly. These range from Bible Studies through to our "Gun Club"?????? Included in our benefice are the churches of St Mary's in Mallerstang valley and St Andrew's in Crosby Garrett. We hope to add information about these active churches shortly. Spring clean of the Churchyard and surrounding area; all help gratefully received. For the Parish Churches of Kirkby Stephen, St Mary’s and St Andrew’s The meeting will be held following the morning service in the Parish Church. The Annual General Meeting consists of two meetings. 1. The Annual Meeting of Parishioners is open to all persons resident in the ecclesiastical parish of the church, and is for the purpose of electing the Churchwardens of the parish. All residents of the parish whose names are entered on the civil Electoral Roll are entitled to vote. Applications to be a churchwarden MUST be handed to the chairman of the meeting before the start of the meeting. The meeting also appointments the Sidesmen/women and the Independent Examiner. The meeting also elects an Electoral Roll Member to serve as the parish representative on the Deanery Synod, if required, and other members to the Parochial Church Council. Candidates for election to the Parochial Church Council or Deanery Synod must be nominated and seconded by persons whose names are on the church electoral roll. Application forms to be submitted either before or at the meeting. Anyone who matches the criteria and wishes to apply to be a churchwarden, or a member of the Parochial Church Council must complete an application form which is available from the PCC Secretary, on the Parish Website, or from the table inside the church.